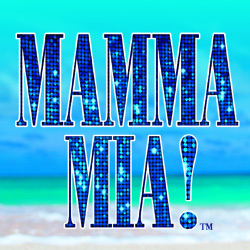 The Smash Hit Musical Based on the Songs of ABBA. ABBA’s hits tell the hilarious story of a young woman’s search for her birth father. This sunny and funny tale unfolds on a Greek island paradise. On the eve of her wedding, a daughter’s quest to discover the identity of her father brings three men from her mother’s past back to the island they last visited 20 years ago. The story-telling magic of ABBA’s timeless songs propels this enchanting tale of love, laughter and friendship, creating an unforgettable show full of non-stop laughs that will have you dancing in the aisles! OPENING NIGHT GALA IN BRACEBRIDGE- FEBRUARY 21ST – SOLD OUT!